We offer our clients Torsion Springs are used to apply a torque or store rotational energy. These are used to apply a torque or store rotational energy. 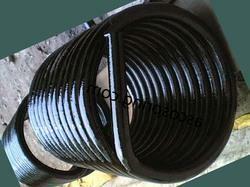 Further, torsion springs wind up they reduce in diameter and their length becomes longer. Available in various specifications, these can also be customized as per the clients specific requirements. 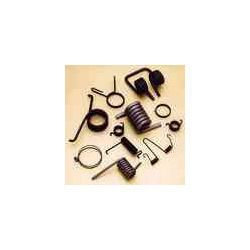 Torsion Springs at springs are built to offer resistance to forces of twist or rotation. Our springs are able to endure both the lateral and angular forces. Torsion springs work by increasing the diameter and the body length under changing conditions, especially temperature and pressure. 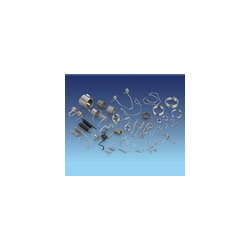 We are a trusted business entity engaged in offering an extensive array of Industrial Torsion Springs. We fabricate our product line to provide resistance to forces of twist or rotation. Our heavy duty torsion springs are are capable-enough to bear both the lateral and angular forces. Asco an assortment of Heavy Duty Torsion Springs, which is manufactured in various specifications as per different industrial requirements. Specially designed under the strict supervision of our experts with the latest scientific technologies, these products are highly appreciated for their high durability, superior finishing and high resistance to corrosion. Materials Specification-As per Client requirements. Our extensive array of Stainless Steel Torsion Springs is fabricated using superior grade of raw material, secured from some of the trusted vendors of the industry. We offer Stainless Steel Torsion springs in different sizes and shapes as per client's specification. 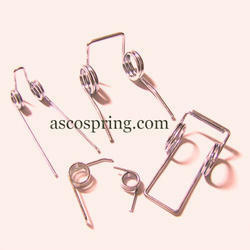 The torsion springs we offer find their applications in various industries such as automobile, textile and the likes. Additionally, we maintain highest level of quality in our product line. In this regards our quality controllers keep a close vigil in our all the production activities starting from procurement of raw materials till the final dispatch of consignment. Leveraging on our vast industrial experience and domain expertise, we have become the most reliable manufacturer and exporter of our domain. 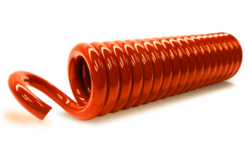 Our range of torsion springs are built to provide resistance to forces of twist or rotation. 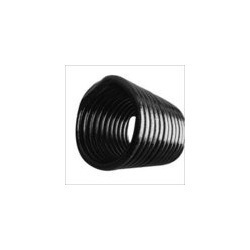 Our ambit of these springs is strictly quality tested, that assures its conformation with the prevailing industry standards. Our robust infrastructure helps us at all the levels right from efficient production till the final dispatch of the consignment. We are backed by a team of skilled and knowledgeable professionals, which give in its 100% to achieve greater level of satisfaction for our valued clients. We are engaged in offering a wide range of Spiral Torsion Springs (AE-018) which is available at industry leading prices. 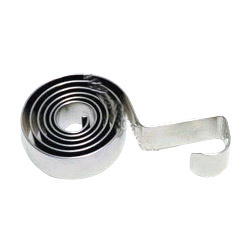 These are manufactured using rectangular section Material, Flat strip with round edges or normal slit edges with equal or increasing space between coils and are known for their various distinctive features such as longer service life and optimum quality. Keeping in mind the varied requirements of our client, we also customize them on various parameters. We are a trusted business entity engaged in offering an extensive array of Heavy Duty Torsion Springs. We fabricate our product line to provide resistance to forces of twist or rotation. Our heavy duty torsion springs are are capable-enough to bear both the lateral and angular forces. 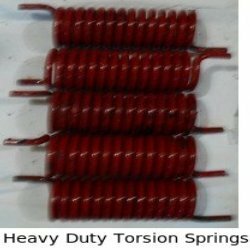 We are known for designing and manufacturing heavy duty torsion springs to meet various dimensional and application requirements of our valued clients. We manufacture heavy duty torsion springs with ends in a variety of standard forms that comprises:short hook springs hinge springs straight offset springs straight torsion springs double torsion springs. We are an assortment of Heavy Duty Torsion Springs, which is manufactured in various specifications as per different industrial requirements. Specially designed under the strict supervision of our experts with the latest scientific technologies, these products are highly appreciated for their high durability, superior finishing and high resistance to corrosion.